Thanks to Neurensics the positive effect of gamification on our brain has been scientifically proven. Neurensics is a neuromarketing research and consulting firm based in Holland, that has direct access to high-end neuroimaging techniques. Using these techniques Neurensics can measure the brain activity of potential customers, and subsequently determine the objective motives of these customers. As a result, Neurensics can provide their clients with unique insights into what customers are actually experiencing in their brains when dealing with certain images, products, advertisements, logos and games. Neurensic’s research has been especially fruitful for KLM, the Royal Dutch Airlines. Early 2012, KLM developed a strategy with the qualitative objective to connect KLM to holiday spirit, and the quantitative objective to acquire people’s email addresses and their preferred holiday destinations. This was a necessary strategy, because KLM was still too often seen as expensive and merely for business, and therefore not top of mind at many holidaymakers. To reach this objective, KLM’s advertising agency developed a thematic campaign with the theme “To what new memory can we bring you?”, for which they created a television commercial. Besides this campaign, the Crossmedia Division of the Telegraaf Media Group developed an activation campaign. The core of this activation campaign was the “KLM Vakantiespel”, an online revamped version of the well-known Memory card game. Before players could start playing the “KLM Vakantiespel”, they had to upload their portrait photo. The game then processed these photos in various vacation scenario images. As a result, in these images, you as a player could see yourself in a not yet enjoyed holiday in the Middle East, Africa, or any other distant KLM destination. These images were your ‘new memories’, as it were. For each found image match, you received a stamp in your virtual passport with the destination depicted on those matching images. After you finished the game you were asked to choose your preferable holiday destination from all the received stamps. After this, you immediately heard if you won any prices. Every day players could win two tickets to a ‘new memory’. In total, the “KLM Vakantiespel” was played more than 67,000 times, and more than 31,000 players left their email addresses and preferred holiday destinations behind. Using the neuroimaging techniques of Neurensics, both the thematic campaign and the activation campaign were studied for their effects on the consumer’s brain. The thematic campaign’s television commercial scored positive in the brain on dimensions that are important for buying behaviour. However, Neurensics’ results also showed that the sought connection between KLM and holiday spirit was not made, something the activation campaign’s “KLM Vakantiespel” díd achieve. Neurensics’ objective neurological research showed that the game brought its players in the holiday spirit and also made the KLM brand significantly more relevant to the players. These are interesting results, not only because for the first time the relationship between gamification and brain activity has been demonstrated, but also because previous neurological research already showed that future buying behaviour and self-relevance are strongly interconnected. In short, Neurensics’ research has shown for the first time that keeping people busy with a brand via a game has great value to advertisers. Unfortunately, many famous brands still turn towards traditional one-way advertising methods, such as television and radio commercials. Although gamification and serious games are becoming increasingly more used for various purposes by various companies, they are still not used that much for brand related purposes. 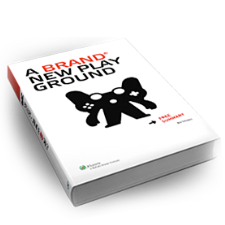 While working at BrandNewGame, I learned that among many of the biggest brands there is still a largely negative connotation towards gaming in general. It would be wise for them to stop burying their heads in the sand, and look at the scientific facts that research firms such as Neurensics provide.